The longer I live in Singapore the more I learn about the vibrant cultural life that goes that is alive and kicking here. Not obvious at first glance, but the many small groups are doing some amazing work. And what makes it so special here is that there is so much diversity, from Punjabi Bhangra to Barzilian Capoeira and Spanish Folk Dance (blatant plug!). I love the variety here. Last weekend I performed with the Rose Borromeo Spanish Dance Company at the National Orange Ribbon Celebrations at Bishan Active Park. This is an annual event commemorating Religious and Cultural harmony and this year was also used as a means to garner awareness about the inaugural Youth Olympic Games (YOG) next year. It turned out to be a very enjoyable afternoon/evening. Minister Mentor Lee Kuan Yew made a speech and there were lots of fun performances as well as booths from local groups. The kids and mum came along so we had a picnic after my performance and enjoyed the rest of the show, our favourite being the Bhangra Dancing and the Philippine Martial Arts. This Saturday, 25th July you can join us at CLAP! I must be honest, I had never heard of CLAP! until this week, so I am learning fast. CLAP! stands for The Community Life Arts Programme, and is aimed at promoting the arts at a local level. It is a platform for whoever has a passion to perform and you can catch traditional arts like Chinese Opera, Indian Dances and Malay Orchestra to Western arts performances like Ballet, Symphonic Bands and even Flamenco! It is a pleasure being involved with these local events, as I feel more part of the Singaporean community rather than just an Ang Mo looking on. So please support local community arts and come and enjoy an evening of free entertainment at downtown Chinatown! 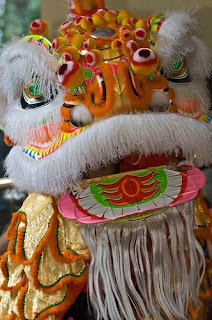 It's interesting to know that are many more cultural events around Singapore, thanks for sharing !! I won't be able to come & enjoy this event & I have to commend that you are actively involved in cultural activities here. Looking forward to your write up on the upcoming event this week and your updates on cultural activities in Singapore that I missed out !